We are currently accepting applications for next school year. Space is limited; contact us today! The atmosphere of the school will be relaxed and will encourage freedom of expression as a means to individual growth. Children should be free to be children – to act, choose, explore, test, investigate, react, and experiment. Hence, children grow naturally in their new awareness of themselves, their relationships towards/with others, and with the world around them. We take pride that our school has been recognized and awarded “Best Preschool” by families in Annapolis. We strive to provide a setting that recognizes each child's uniqueness and inherent curiosity, as well as a love of learning. This is what a preschool was meant to be, there is no place as special and unique as Weems Creek. The commitment of the school to undertake a viable and meaningful program for the children is only a part of the total experience which the school hopes will be shared in joy and camaraderie by both children and parents. The goal of the school is to promote development of each child socially, emotionally, physically, and academically as age appropriate, and to their full potential. Weems Creek Nursery School took root by founder and Annapolis residents Rod and Missy Tate in 1972. Mrs. Tate's philosophy was to nurture young learners while developing social skills and a sense of one self. 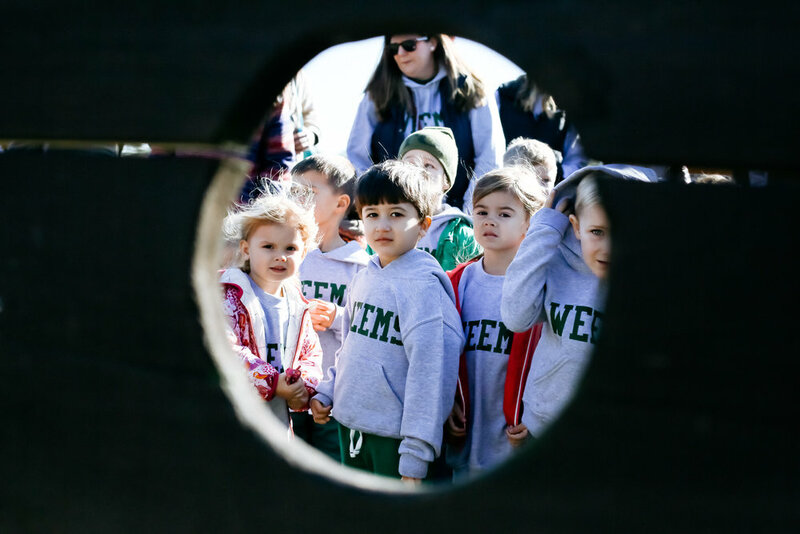 And since it's beginning, nestled in the heart of West Annapolis, Weems Creek Nursery School & Kindergarten has been providing a nurturing, engaging, creative learning experience for over 40 years. We are honored to be awarded the distinction "Best Preschool" in the 2018 Macaroni KidAnnapolis Gold Daisy Awards. Not only that, we are humbled to further be named the MOST LOVED business in Annapolis/Edgewater (Weems Creek was the business with the most overall votes in the contest)! Our colorful, light-filled classrooms, innovative play-based curriculum, and nurturing teachers enhance children's natural curiosity and love of learning.